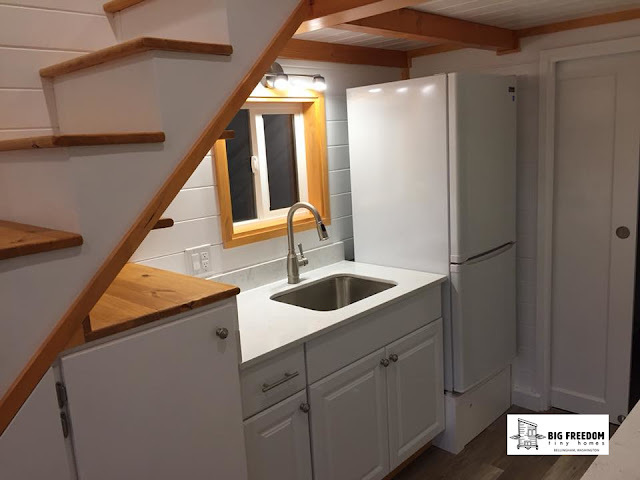 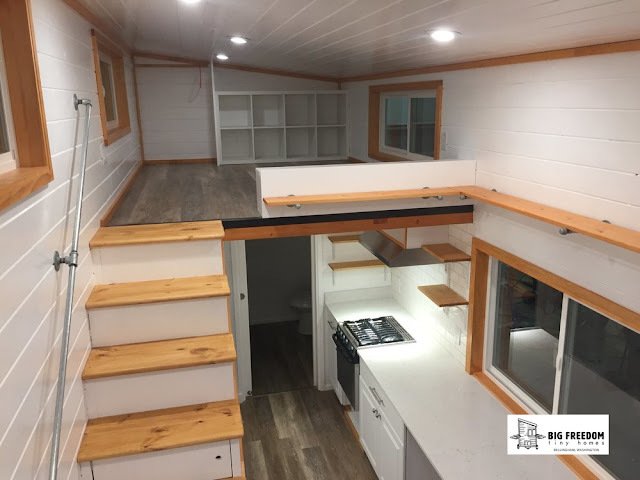 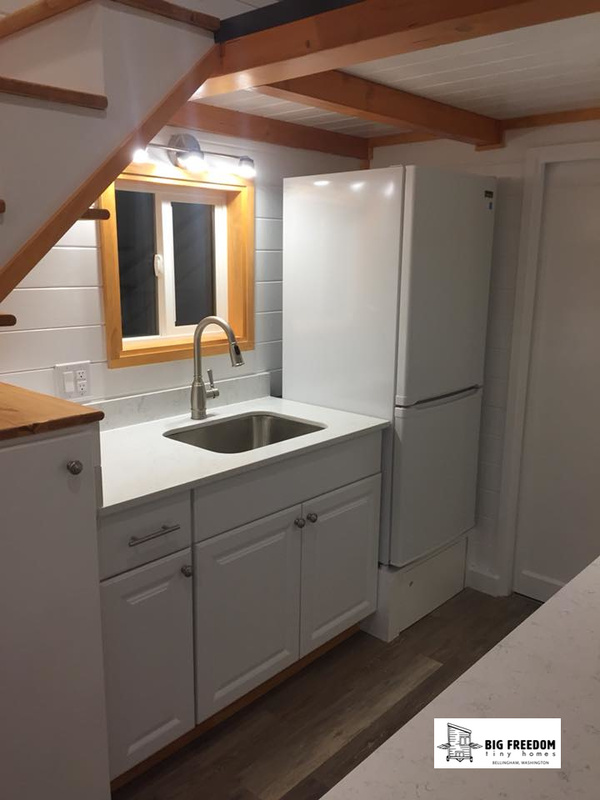 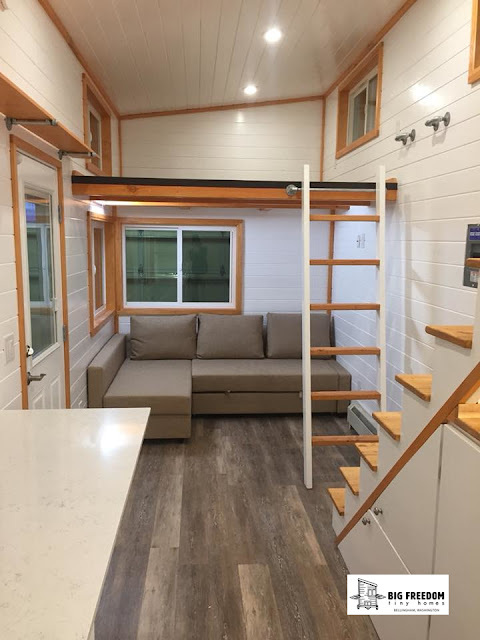 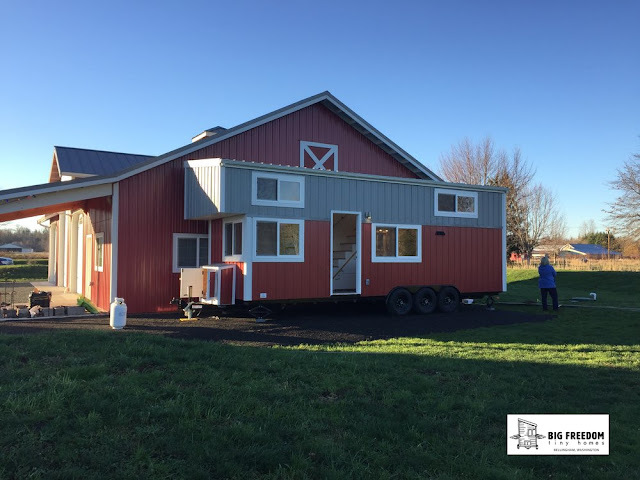 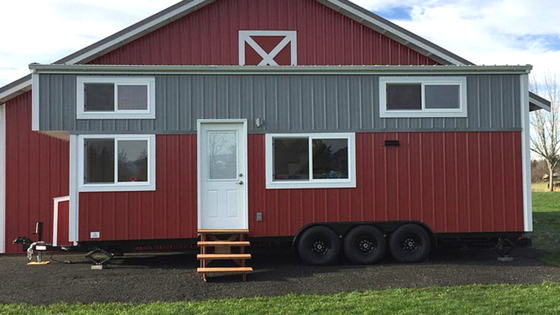 From Big Freedom Tiny Homes is this beautiful 28' double-loft tiny house. 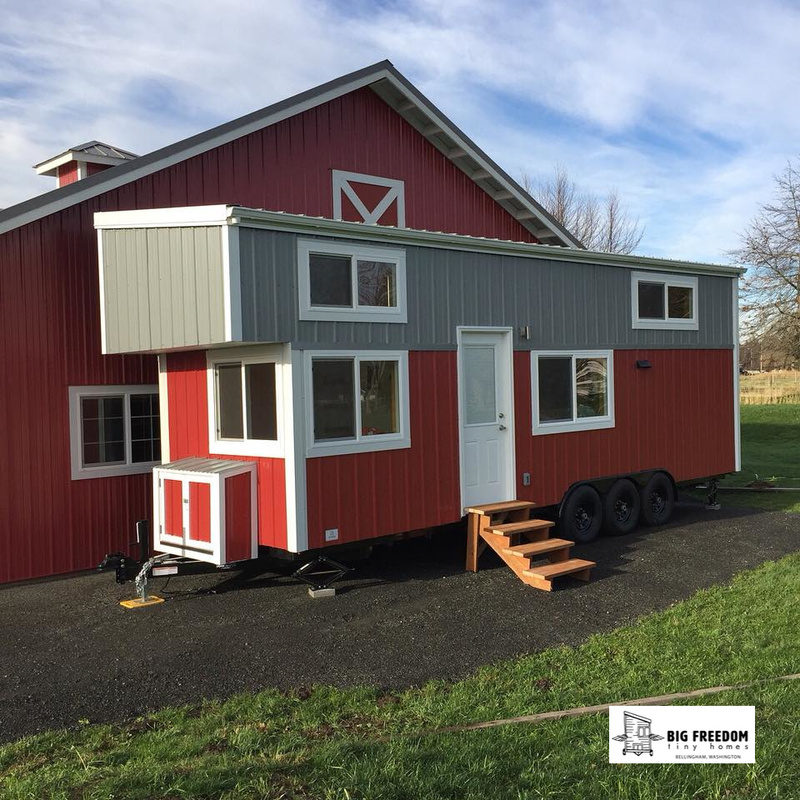 The home is designed to match a red barn on the outside with a minimal/rustic styled interior. 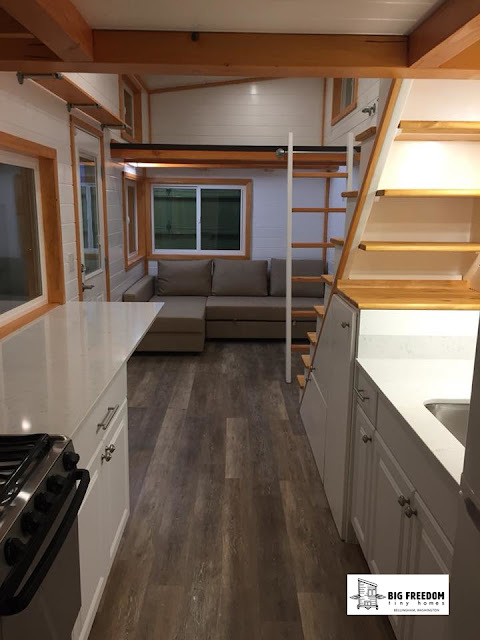 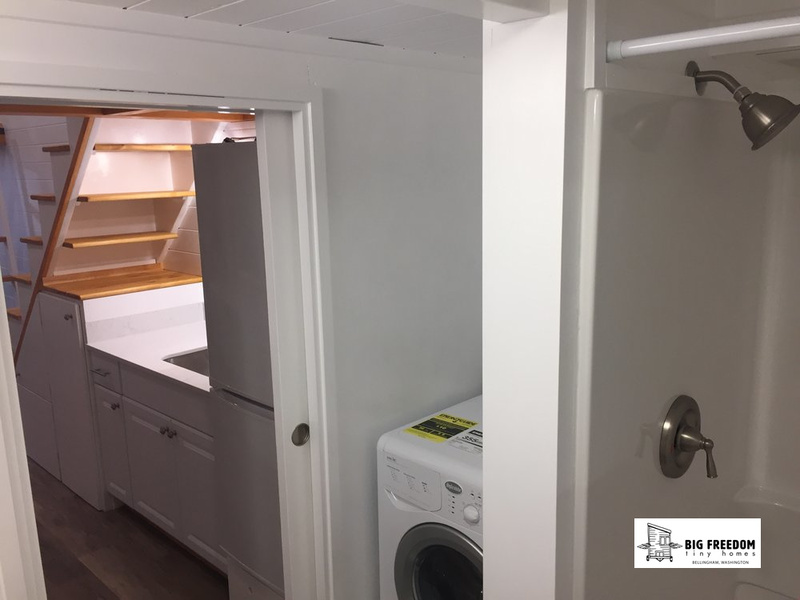 The main floor layout in a base design from Big Freedom that includes a bathroom, plenty of built-in storage, and a kitchen with 14' quartz countertops. 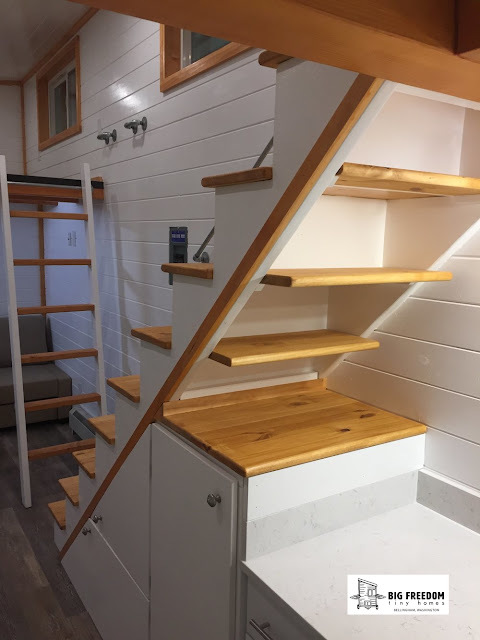 The home also includes an 11' deep Master loft bedroom, accessible by stairs, and a 9' second bedroom that's accessible by stairs. 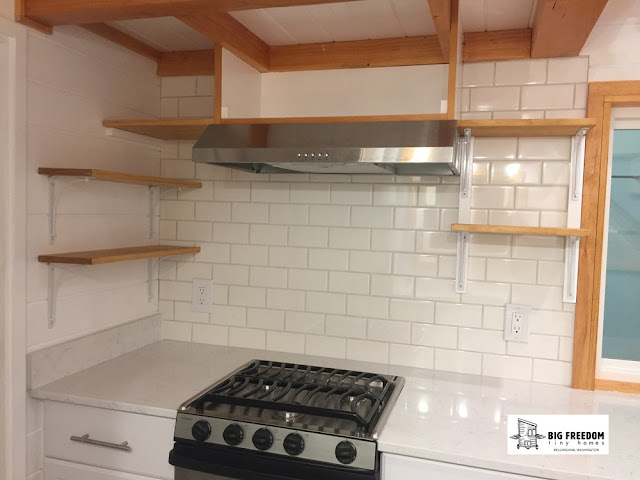 The home was sold for $79,000. 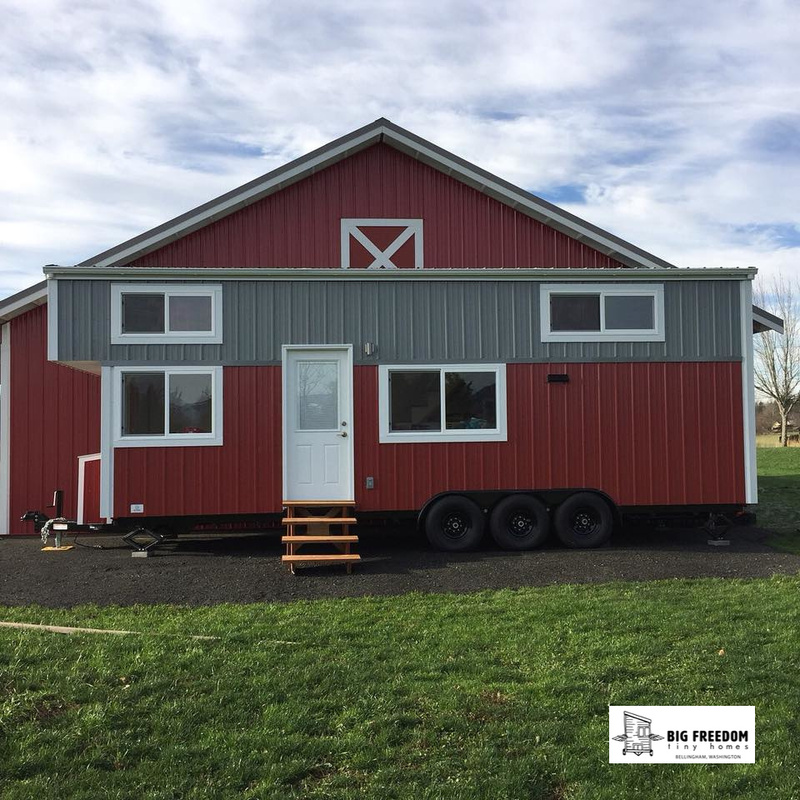 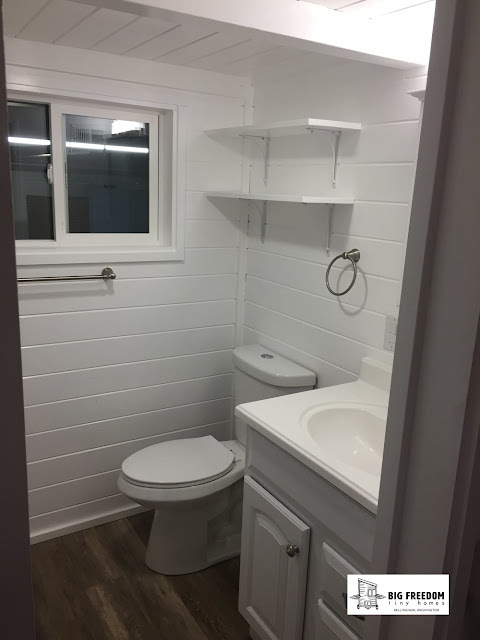 Feel free to reach out to Big Freedom Tiny Homes here for any further questions and/or inquiries! You can also check out another home by the same builder here!